The standard mount centers the solenoid from left to right and from front to back over the spool. The offset solenoid mount is still centered from left to right over the spool, but it moves the solenoid toward the front or rear of the spool depending on which way you mount it. The offset mounts are great for AEV JK bumpers and other bumpers where the winch mounts down into the bumper. The mounts are available in both steel and aluminum and do not require any additional mounting hardware, they simply use the bolts that are already on your winch. 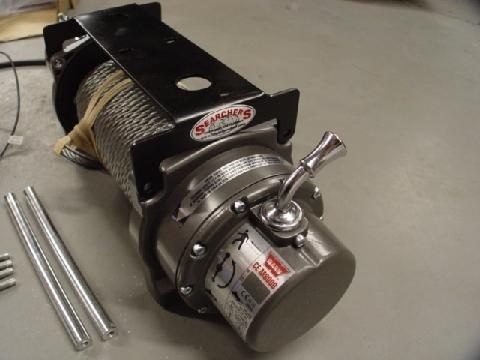 These work great for most 8-10k pound winches, but we do find that some winches like smittybilt xrc series (and others with similar solenoid mounts) require you to use a fastener such as a hose clamp to attach the solenoid to the bracket. If you would like to buy one visit our online store here.